The component of FRP Chemical Pump that contacts the medium is using the phenolic glass fiber plastic component made of polyvinyl acetal modified phenolic glass fiber material and pressed from mould under high temperature. The product has the advantages of light, strong, ametabolic, heat resistant and corrosion resistant. On the aspect of corrosion resistant, it can replace the expensive metal like: titanium, titanium alloy and molybdenumrous stainless steel. Three-phase power supply if request. Single-phase power supply if request. 4. Suitable Medium:hydrochloric acid,Sulfuric acid,Acetic acid,Formic acid etc. 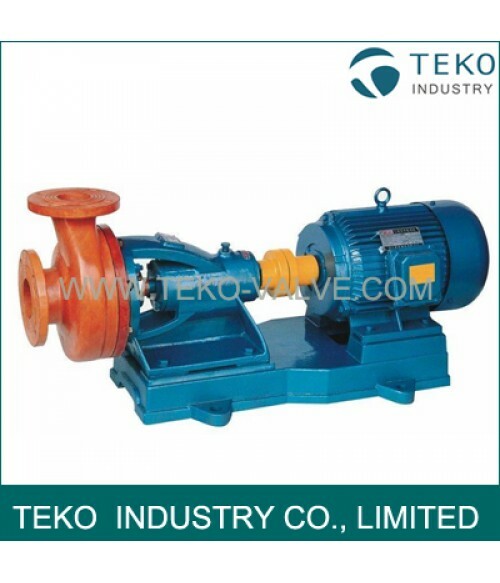 Founded in 2000 and as a ISO certified enterprise, TEKO Industry Co., Limited are a professional supplier of pumps, valves, and related fittings. National satnadards of API, ASME, GB, DIN and other related standards are all available upon your request. Adopt the latest technology to take the product quality to the next level. Condisitently provide on-time services to our customers.